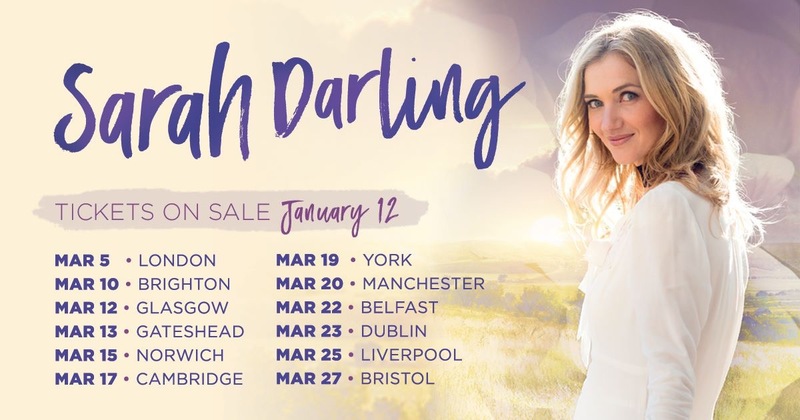 Sarah previewed some new material from the upcoming album during her sold out Christmas concert at St Pancras’ Church last December – where she also revealed she has been working with Mark Bright, the producer responsible for some of the greatest albums by Carrie Underwood and Reba McEntire among many others. Included on the Christmas setlist, and sure to be performed on this upcoming tour, was a track co-written with Ward Thomas and another, “Angel Wings”, which was described by W21 Music as “a song that we should all be singing around a fire in an Irish bar, as if it was already a classic,” in their glowing live review of the show. Sarah’s intimate performances are definitely not one to miss. Lauren Alaina movie Road Less Traveled on DVD – have you seen it?